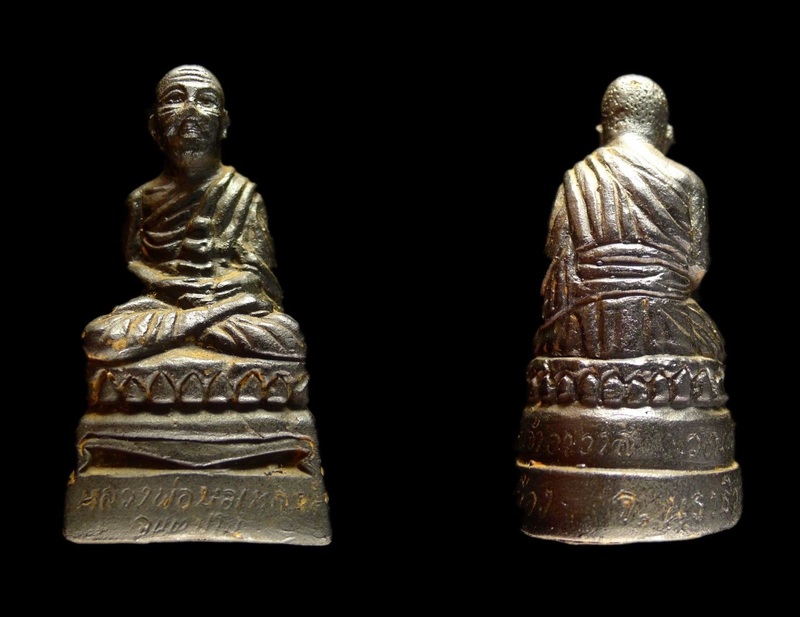 Locket Sang Chedi Luang Phor Mun Wat Pa Tha Sud BE2557. Gold takrut, made 100 pieces for each design. Blessed by Luang Phor Prasit, Luang Phor Plien, Luang Phor Sang, Luang Phor Chom Wat Pa Tha Sud (disciple of Luang Phor Zhan Wat Chedi Luang) & Luang Phor Baw Ket Wat Pa Pang Kerd (disciple of Chao Khun Nor). The back inserted with herb, jeevorn, takrut. Monk’s hair of Luang Phor Plien, Luang Phor Prasit, Luang Phor Sang, Luang Phor Sim, Luang Phor Waen, Luang Phor Dune, Luang Phor Tate, Luang Phor Khao. Also included Ashes of Luang Phor Tate, Luang Phor Waen, Luang Phor Sim, Luang Phor Chan, Luang Phor Khao, Luang Phor Dune, Luang Phor KomPong, Luang Phor Si Chan. Salika Kruba Baeng Wat Bang Tanood BE2555. Nur Phong with takrut, ruby and mini naprok. Inserted with Kruba Baeng’s hair in plastic casing. Luang Phor Ngern Rian Sema NamDtao Wat BangKlan BE2553. Phim Kamakan, Nur Nawa Nak Ngern. Serial Number 236. Made 500 sets only. This batch of amulets was made from many old materials such as old coins and yant sheets written by many masters around Thailand. It was mass-chanted in a grand ceremony involving 500 monks held at Wat Bang Klan. First Batch Rian Luang Phor Kloy Wat Phukhaotong BE2543. Copper material. Early batch Herb Bucha Luang Phor Thuad Wat Khao Kong.